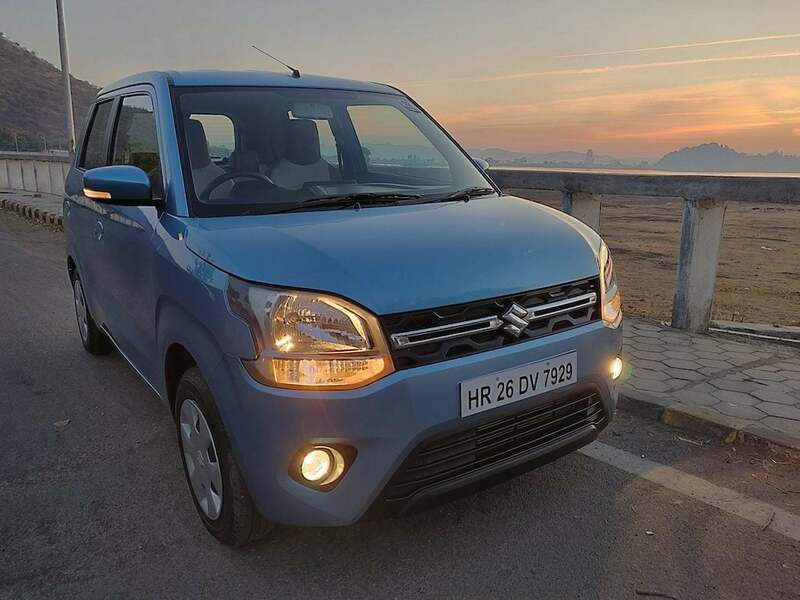 New Maruti Wagon R 2019 also called the Big New Wagon R by Maruti Suzuki India is their 3rd generation of the popular tall boy originally introduced in India in 1999. In 2 decades and 3 generations, this car has evolved considerably and reached over 22 lakh buyers in India. 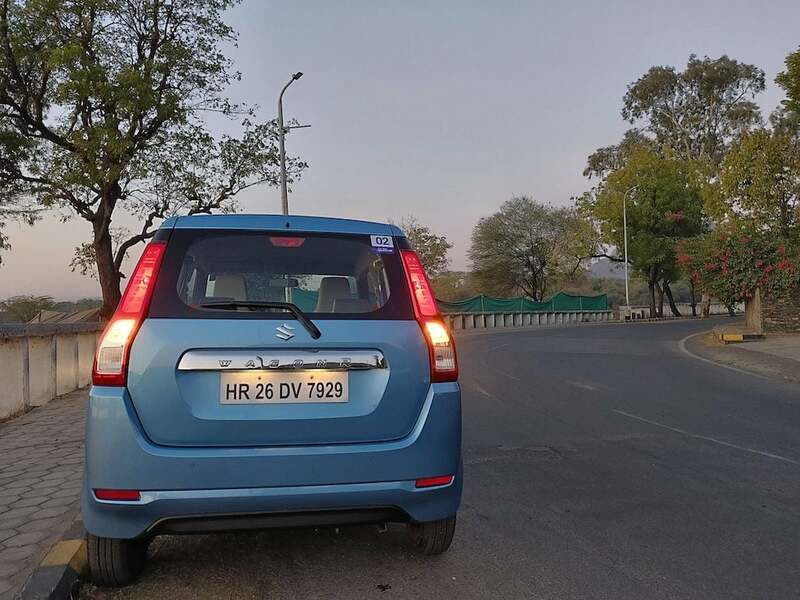 We spent few hours behind the wheels of the New Maruti Wagon R 2019 at a media drive event in Udaipur where we drove the car in both the city and highway conditions. 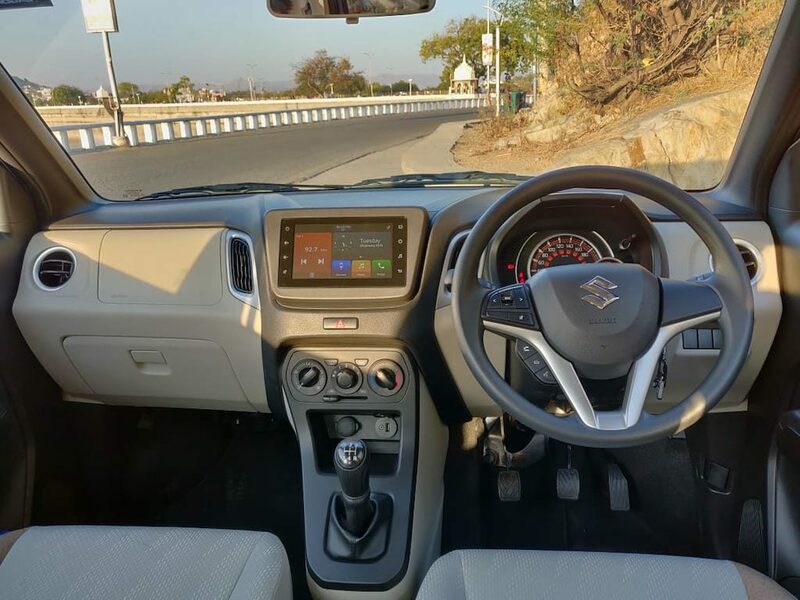 Here is our comprehensive and detailed review of the New Maruti Wagon R 2019. We will try and clear your doubt whether you should buy this Big New Wagon R or not. The BIG question is- Should I buy the new 2019 Maruti Wagon R? We have tried to answer this question in this review, so make sure you read till the end. We have broken down this review in small sections for the sake of clarity and easy understanding. The New Maruti Wagon R has been priced between Rs. 4.19 Lakhs to Rs. 5.69 Lakhs ex-showroom across 7 different variants. For a complete list of features and price list of these variants, check out our launch coverage here- Maruti Wagon R 2019, all you need to know. The new 2019 new model Maruti Wagon R comes with a much improved exterior design. The Wagon R has also been considered to be a too-boxy-style car and has been looked down upon by some for its not-so-attractive styling. But that changes considerably with the New Wagon R 2019. The new model is more curvy, more rounded and in Maruti’s own words- “More car-like”, which means that it looks less boxy and more conventional in shape, to which I would agree completely. The grille design, headlamps and front fascia all get a pleasing make-over. The car actually looks like chunky and good-looking from the front. The body lines and curves on the sides also make the new Wagon R look masculine and stylish. The C-Pillar gets blackened treatment to give it a floating roof effect. The rear too gets some chrome and really large tail lamp combination lamps which run all the way till the roof of the car. These not only look stylish but also add a touch of premium to the rear of the car which was missing in the previous generation. 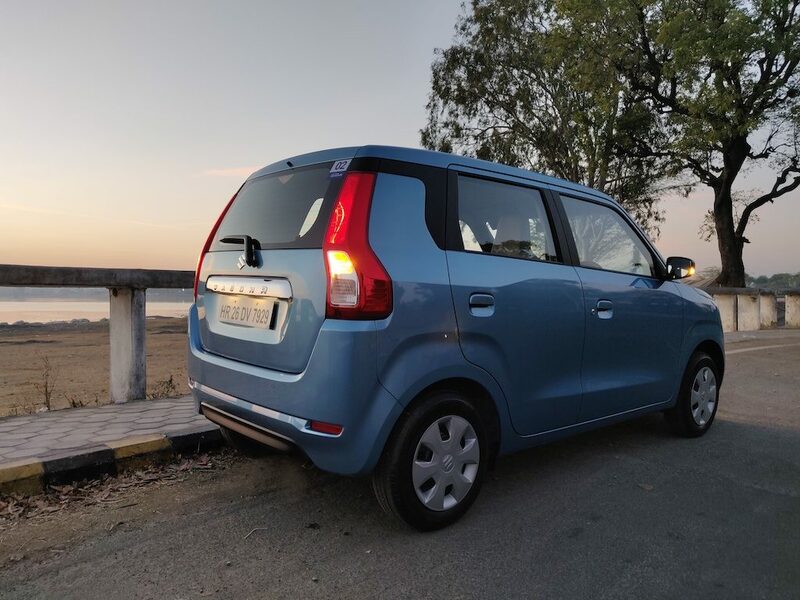 To sum up, the New Maruti Wagon R 2019 model exteriors are a welcome change and make the car look much less boxy, much more stylish and definitely modern. It does look like a car which will appeal to most of the buyers across different age groups. 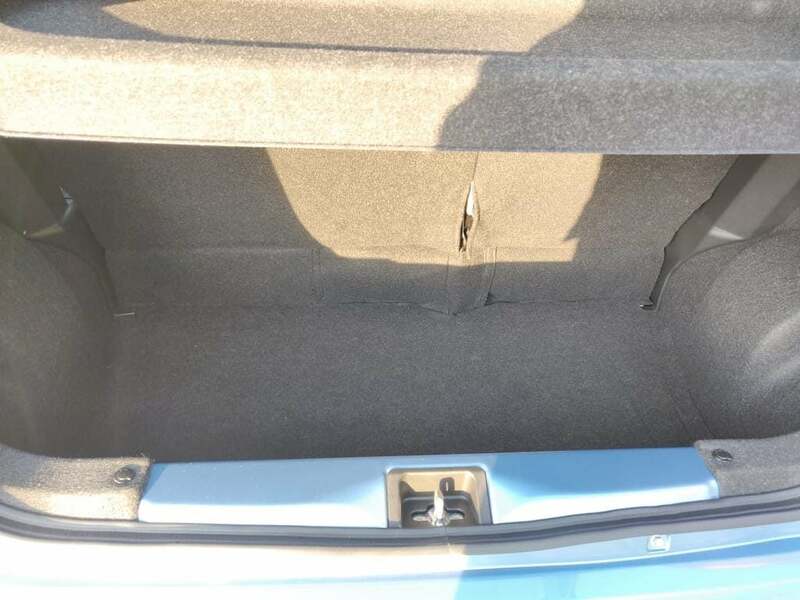 The premium feel of the New Maruti Wagon R 2019 does not end on the outside, it very well continues when you step inside the car. 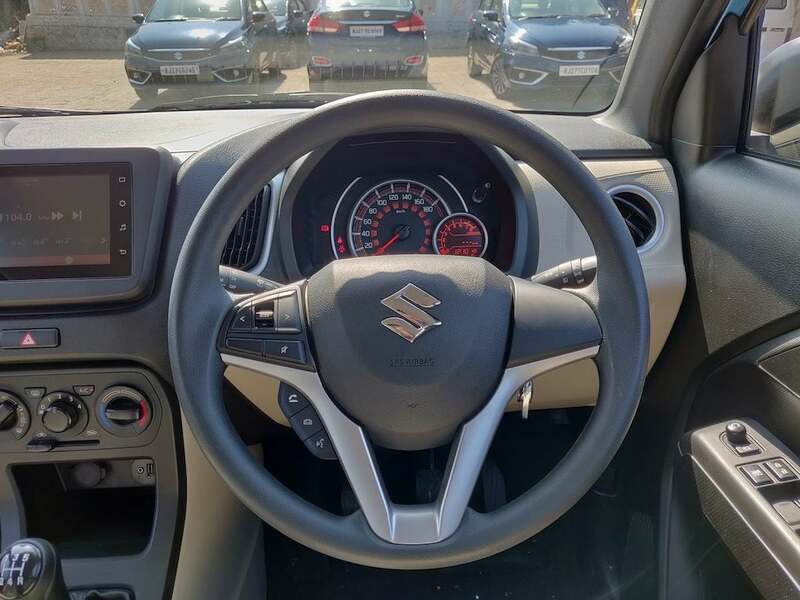 It does have many familiar Maruti elements like the power windows switch-gear and consoles on the door are very familiar from other Maruti cars. But on the plus side, these are robust and easily available parts which help to keep the parts availability and maintenance of Maruti cars low. The door of the Wagon R feature large bottle holders and map pockets. The trims and materials used are improved in fit and finish compared to previous generation. The dashboard design with new light-and-dark combination colour theme looks pleasing to the eyes. The switches, plastics quality etc. are all quite good in quality and touch-feel. The seats are also quite good in cushioning and spacious. 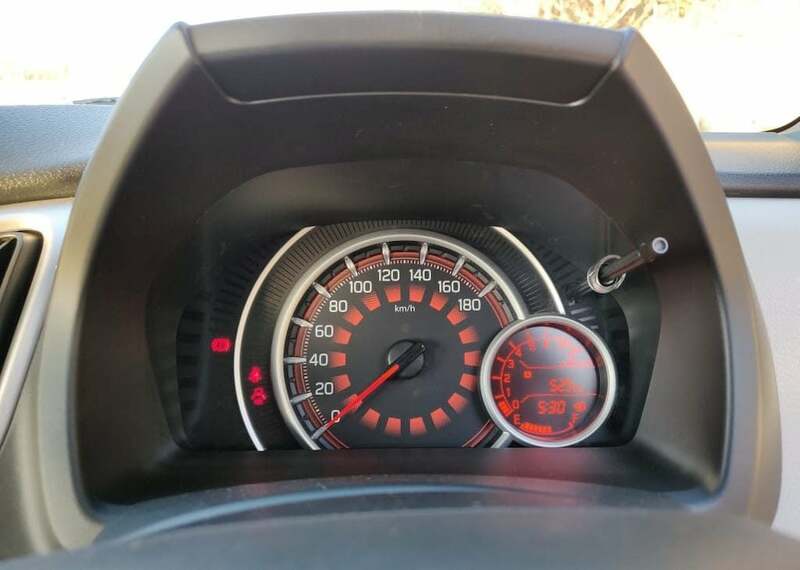 The instrument cluster gets a new and simple design. The digital MID unit inside the instrument cluster is also feature rich with RPM display, range, instantaneous mileage, average mileage, trip and odometer readings all in one place. 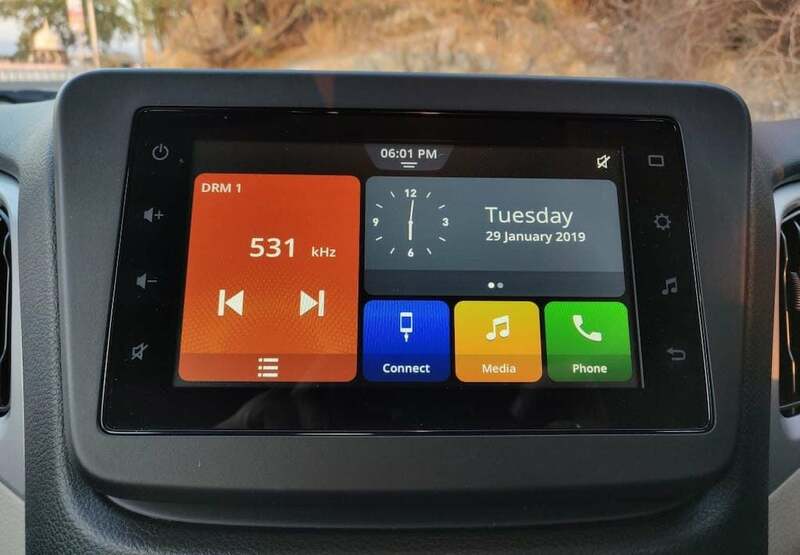 The infotainment system is also quite loaded with features like App connectivity, Android Auto, Apple Car Play, Bluetooth, Aux-input etc. to name a few. There are also steering mounted controls for infotainment as well as phone control. The music volume, however, is just about average, but the clarity is good and sound does not crackle even at max volume. The rear seats are also quite comfortable and will be best suited for 2 adults, however you can also seat 3 persons at rear. There is oodles of headroom, decent legroom and moderate enough shoulder room at the rear. With the increased dimensions of the car, it is better than previous generation Wagon R, but still seating 3 adults at rear may be a bit of squeeze for long journeys. This is one area where the New Wagon R 2019 shines. It would not be wrong to say that I was pleasantly surprised by the engine performance of this car. We drove the more powerful 1.2 Litre petrol engine variant with 82 BHP of peak power. There is also a 1.0 Litre petrol version with 67 BHP of peak power. For a car which weight a mere 850 Kg, a 1.2 Litre 82 BHP motor is actually quite exciting. It feels peppy and eager most of the times. Any quick overtake or acceleration may require you to downshift a gear or two, but once you rev it well above 3000 RPM, the engine is quite fun. The good thing about this engine is that it is very refined as well. There is hardly any vibration, only a little noise at higher RPMs and the engine is eager to rev at the tap of your foot. Along with being eager, it is moderately fuel efficient as well. the ARAI certified mileage of this engine is about 21.5 KMPL, however, you can expect anywhere between 14 to 18 KMPL in the real world depending on your driving style. 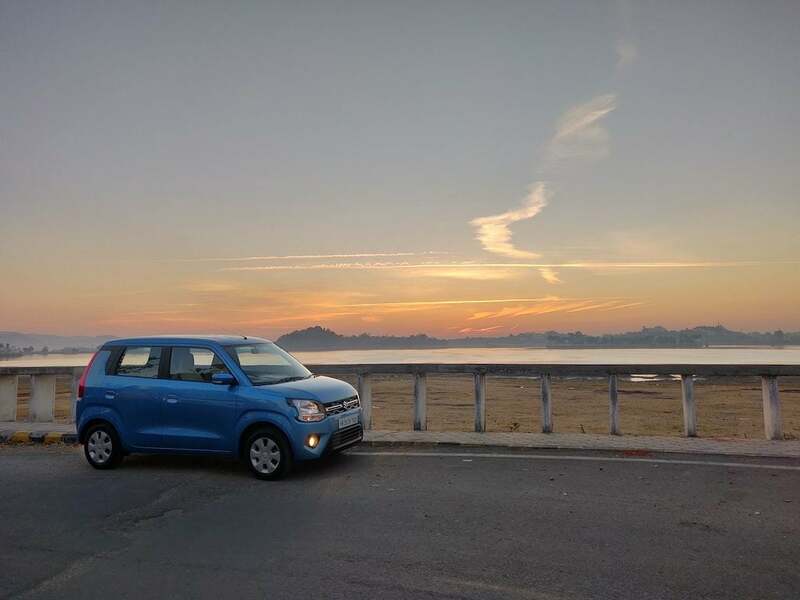 While the New Maruti Wagon R 2019 excels at engine performance, the same can not be said about its handling. The fact that it is a tall-boy and lightweight car, poses some challenges to its handling. There is some body-roll besides a moderately still suspension and the car is not meant to be driven too fast on the curves. In city driving, it drives like a charm, but on highways and high-speed driving, it does not feel as impressive. The fact that it is a spacious and comfortable small car which is light in weight, makes it great for city use and occasional highway use. We did touch 140 KMPH on the highway during our tests, but honestly, I would feel comfortable to drive it only under 100 KMPH, because beyond that, the crosswinds or a heavy vehicle driving next to the car may cause it to feel nervous. So in terms of handling, I suggest that it is an excellent in-city car but not meant for high-speed highway cruising. Too much handling talk, but what about the ride comfort? This is one area where the New Wagon R surprised me even more. With a moderately stiff suspension and good ground clearance, the car is equipped well to deal with uneven or not-so-perfect Indian roads. The car does provide a comfortable ride quality and soaks up most of the smaller bumps and undulations with ease. We felt very comfortable at both the front as well as the rear seats of the car. This makes the Wagon R a great car for small families. Lets circle back to the question- Should I buy the new 2019 Maruti Wagon R? Well, the answer is not a very straight forward one, but let me try to answer it for you. 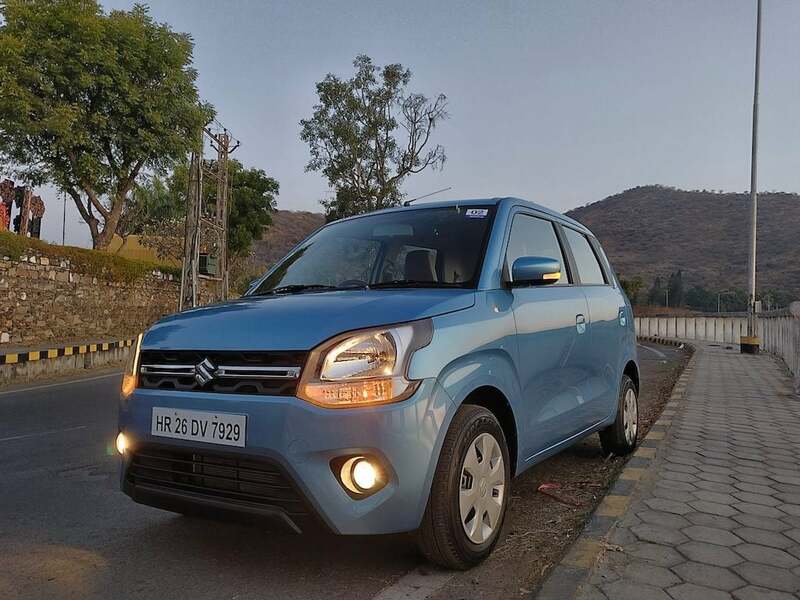 If you are looking for a small car mainly for in-city commuting, which is spacious, comfortable, feature-rich, low on maintenance and high on mileage, then the answer is a clear “YES.” But on the other hand, if you are an enthusiast who wants to push the car, or takes it often for high-speed highway drives, it may not be a smart choice for you. Most of the small car buyers will fall in the first bracket here, so yes, if you do, just go ahead and buy it, you would not regret your decision. Watch our video below for more in-depth visual review.